A customer recently informed us we’ve been added to the Yorkshire Evening Post’s list of “Leeds eateries rated ‘one’ for food hygiene”. Before you all run for the hills, we’d like to set the record straight! 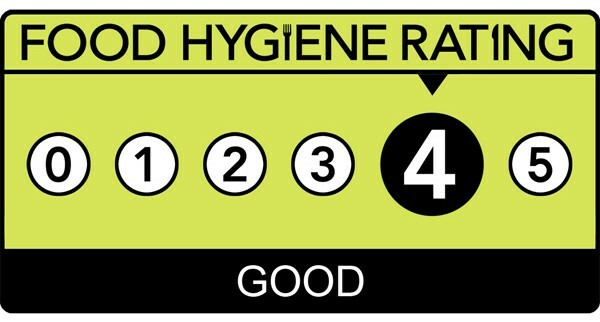 We were recently awarded 4 out of 5 by Leeds Council and they take a while to update their system, but if you click on the rating above you can see a copy of the letter confirming our score. Wires may have been crossed, Gremlins may have made it into the system, but we can assure you our establishment complies with health standards. Apologies for any confusion and we hope to see you again soon! Could you be the next Assistant Manager at Ecco? Ecco Pizzeria is growing.The pace of Ecco’s growth means that there will be substantial opportunities for rapid growth and development. We’re looking for assistant managers to join our team at our new sites in Leeds with an aim to develop more sites in the next 12 months and thereafter. Candidates are expected to want longevity and to be committed to a stable and long career with. We want to change the preconceptions of pizza as a junk food and take it back to its Neapolitan roots with a focus on healthy, authentic wood fired cooking. The ideal candidate will want to be a part of this growth and will be excited at the prospect of putting a stamp on its development. Ambition and determination to succeed are essential. We would ideally seek an assistant manager with experience! Our values are simple. We have integrity in everything that we do, we are uncompromising, authentic, informal and aim to have a broad appeal. The welfare of our staff is our priority. We want to provide a workplace full of stimulation and with a supportive infrastructure. As a member of the Ecco family, you will be at the helm of all we stand for and an ambassador of our values. In return, we will offer you an opportunity to develop and progress within a new and exciting venture. Salary dependent on experience but will range in between £18,000 to £21,000. 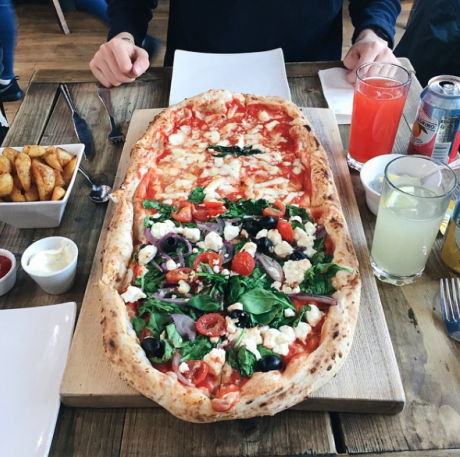 Browsing through Instagram snaps of our pizza ranks pretty high on our list of favourite things to do. And Ecco customers are certainly not alone in their love for savouring the moment with a hashtag and a filter. 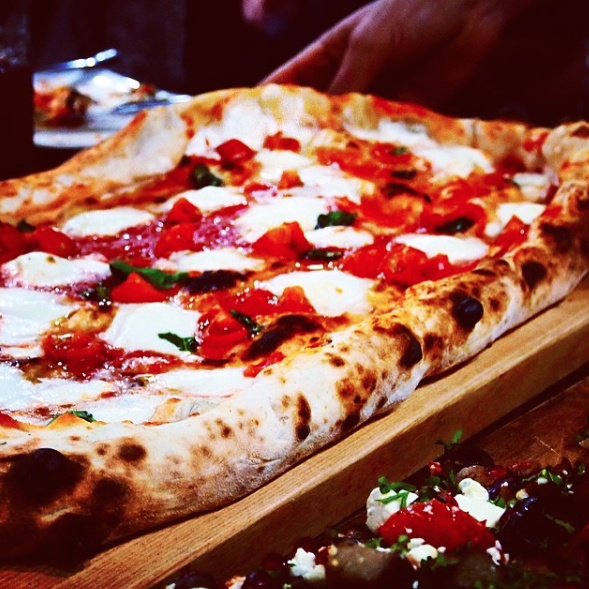 A recent article from Italian news agency TGCom24 revealed that pizza is the most snapped food on Instagram, with even more cheesy pizza pics than hamburgers or burritos! The very, very scientific study was conducted by Italian chef Alessio Mecozzi and communications company Klaus Davi. According to the article, of the 300 million food pictures on Instagram, 17 million of them are pictures of pizza. Quite surprisingly, or perhaps not so surprisingly, the city most likely to profess their love for pizza is New York, where 6.1% of the #pizza hashtags originate, beating Naples (2.1%) to the top spot. 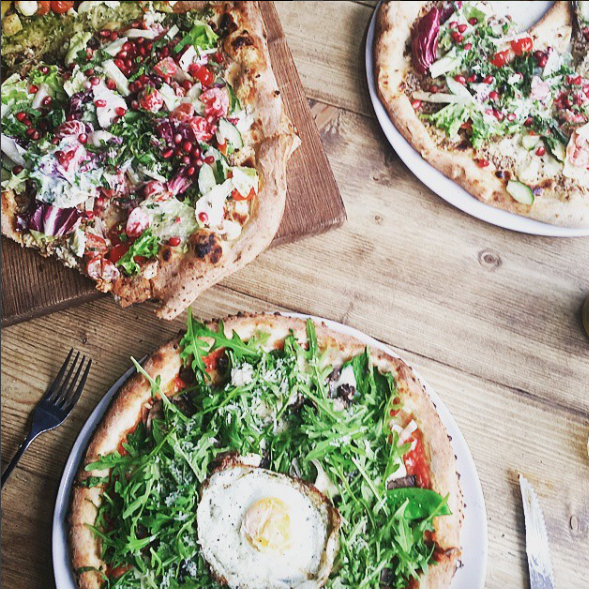 Here are some of our favourite #EccoPizzeria Instagram snaps from recent months. Make sure you keep sharing folks; you’re making all your friends really jealous, and we LOVE seeing your snaps! There is no greater feeling in the world than receiving praise for something you put your whole heart into. Positive reviews and enthusiastic blog posts are the lifeblood of this industry – we’re wary of any restaurant owner declaring they don’t care about reviews! We love that people are willing to spend their time piecing together kind words about our business; it’s humbling to say the least. So here’s a collection of some of our favourite reviews and the kindest words we’ve received to date. 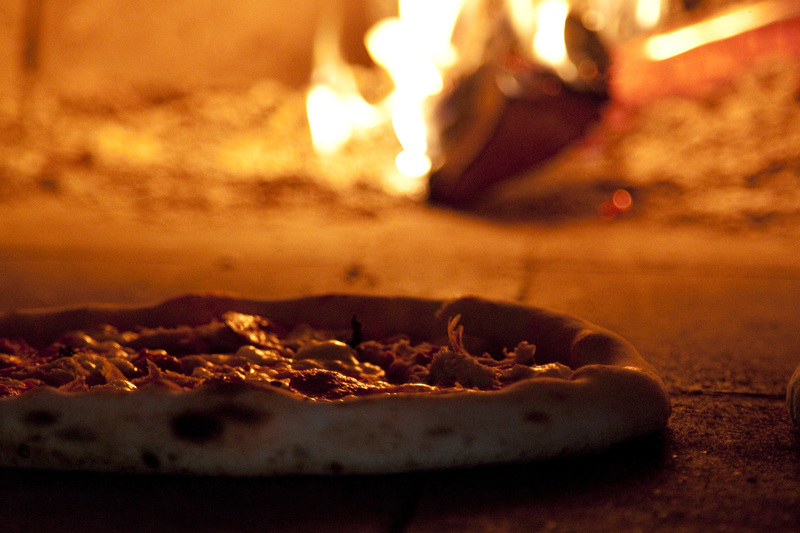 And if we’ve missed you off the list, drop us an email on info@eccopizzeria.co.uk and we’ll get it up here, pronto! “Oh… Sweet… Jesus. It was amazing. Such a simple pizza but the flavours, freshness and the skill meant that it tasted and was cooked to perfection. 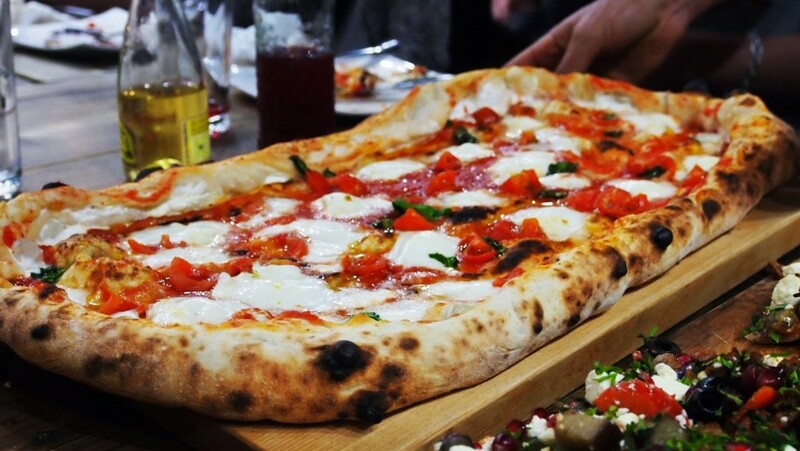 I easily could have eaten a whole metre of this by myself!” – On the margherita with riccota stuffed crust. We are proud to serve authentic Neapolitan pizza, and it’s something that many Italians say they love about our restaurant. Rather than follow the crowds and serve cheap ingredients atop a frozen pizza base, we prefer to keep things authentic. For the uninitiated, Neapolitan pizza can be a strange experience – people worry we overcooked the base and undercooked the toppings but trust us when we say it’s supposed to be that way! 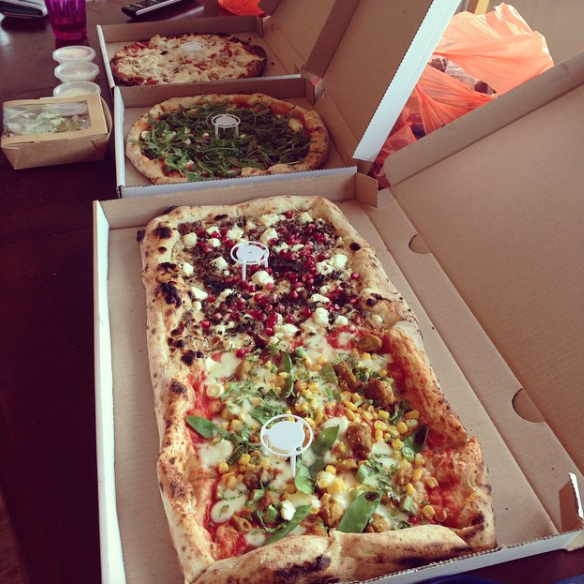 We serve our pizzas as 12″ personal pizzas, or as 1/2 meter-long pizzas. 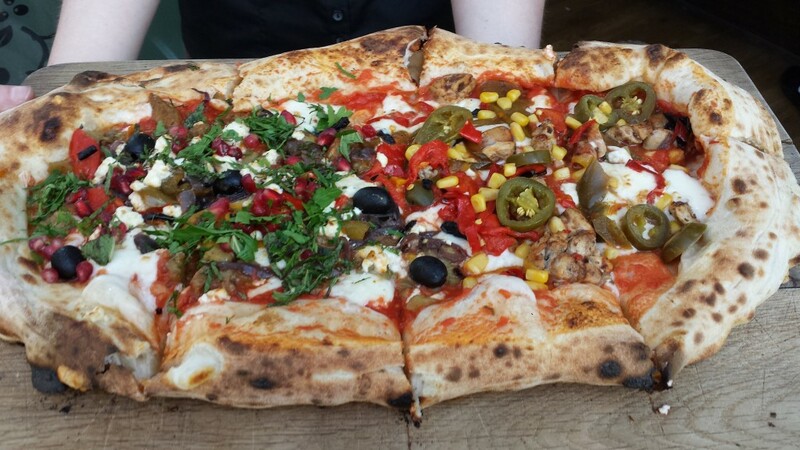 We recommend a 12″ pizza per person, or a 1/2-meter pizza to split between two people. If you’re with a large group, it’s a great opportunity to sample a lot of flavours from the menu. But if the thought of sharing a pizza sends you into a fit of rage, get the 12″ and guard it like a troll. We won’t judge you. 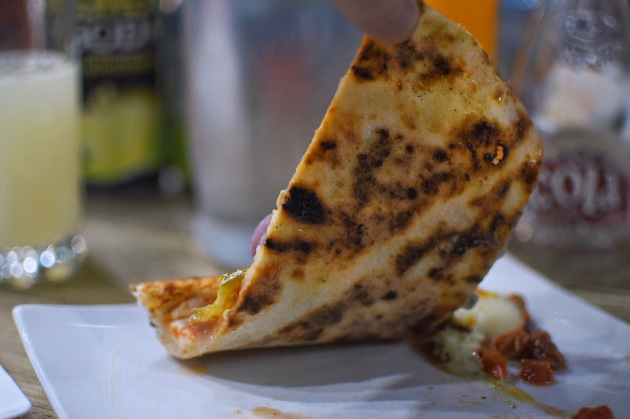 Rather than cooking our pizzas on a conveyor belt lined with heated elements – an elaborate toaster, if you will – we prefer to use another tried-and-tested method. Fire. The result is super-fast cooking time and variable degrees of charring. The charring is normal and adds an extra layer of flavour. Sometimes we overstep the mark (hey, it’s difficult to control the temperature of fire!) and the base might have an acrid burnt taste – if this happens, let us know and we’ll get it sorted. The combination of San Marzano tomato sauce and real buffalo mozzarella makes for quite a soupy centre. Some people dislike the sloppiness of the pizza and assume we undercooked their pizza, but in reality, if we cooked away the moisture you’d end up with a dried-up and rubbery pizza. If you dislike the soupiness, we recommend ordering a ‘white pizza’, which is simply a pizza without the tomato sauce. 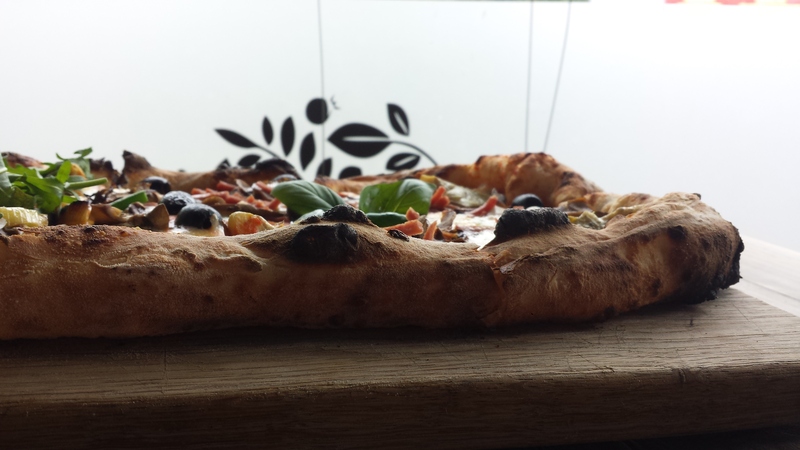 The soupiness of the pizza inevitably leads to customers asking how they are supposed to eat it. We recommend attacking it with a knife and fork or folding it up, Neapolitan style. We love a good list here at Ecco Pizzeria. Whether it’s the 25 happiest animals in the world or a breakdown of the top food spots in Leeds – we’re all over it. So imagine our surprise when Trip Advisor’s Holiday Lettings emailed to let us know that we’ve been added to a list of the top 20 pizzerias in the UK.